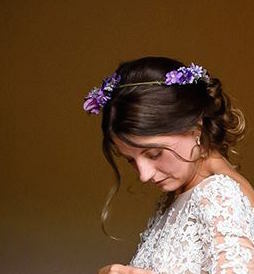 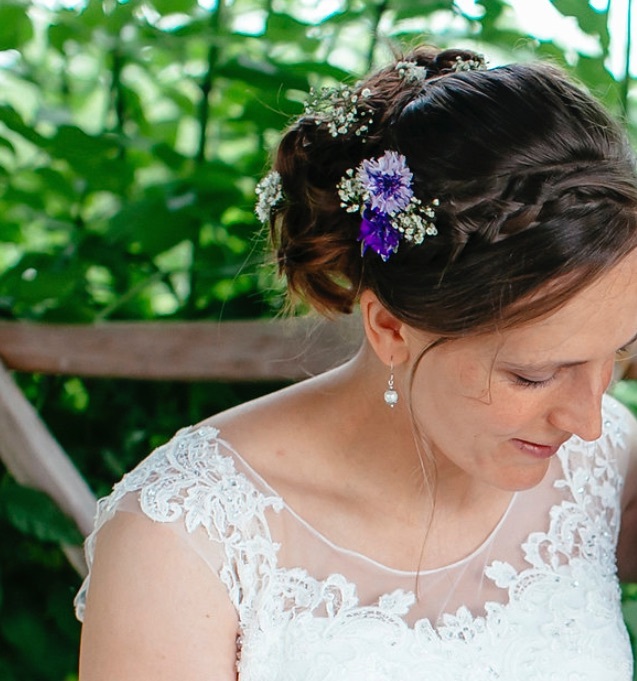 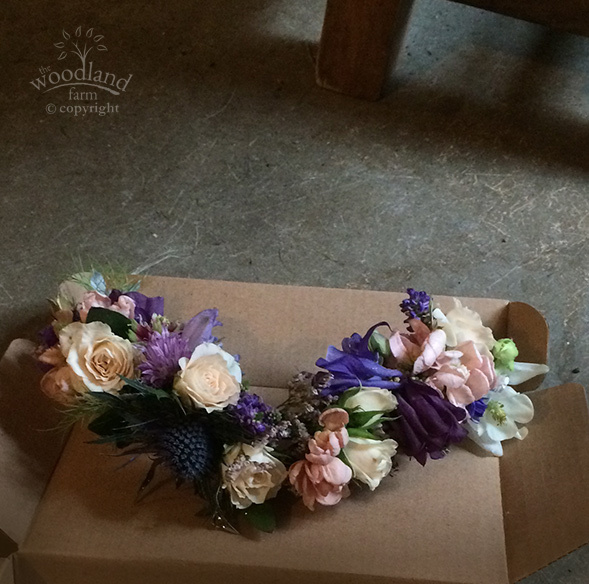 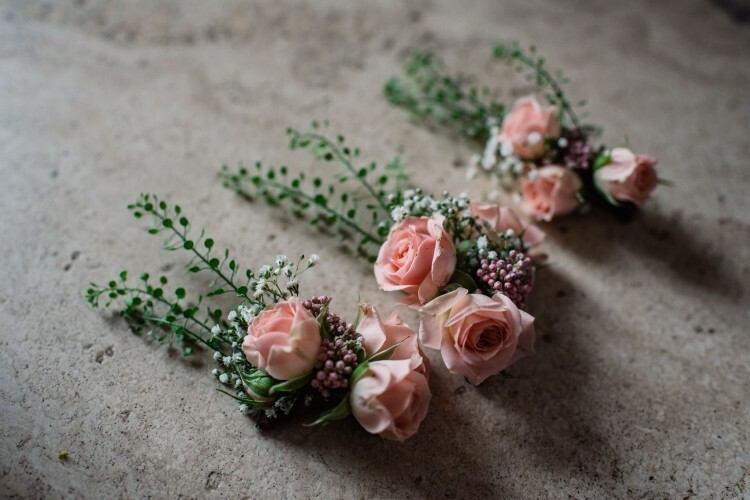 There are lots of florists making beautiful flower crowns for weddings but we’re finding that many brides want something a little smaller for their hair accessories – especially if they are thinking of having an up-do. 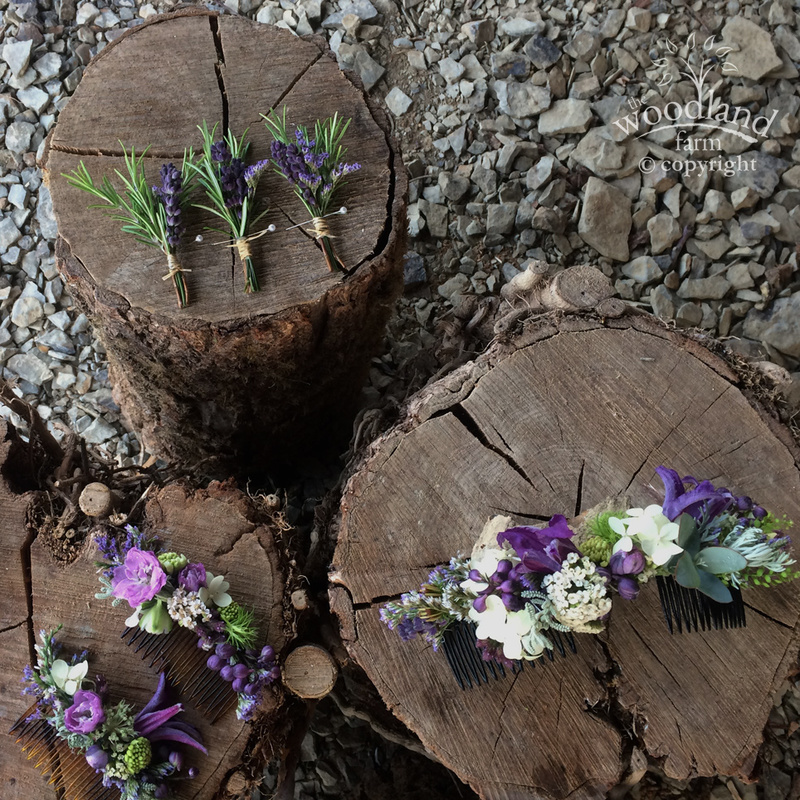 Here are some of the combs, slides and hair combinations that we’ve done for brides recently – be inspired! 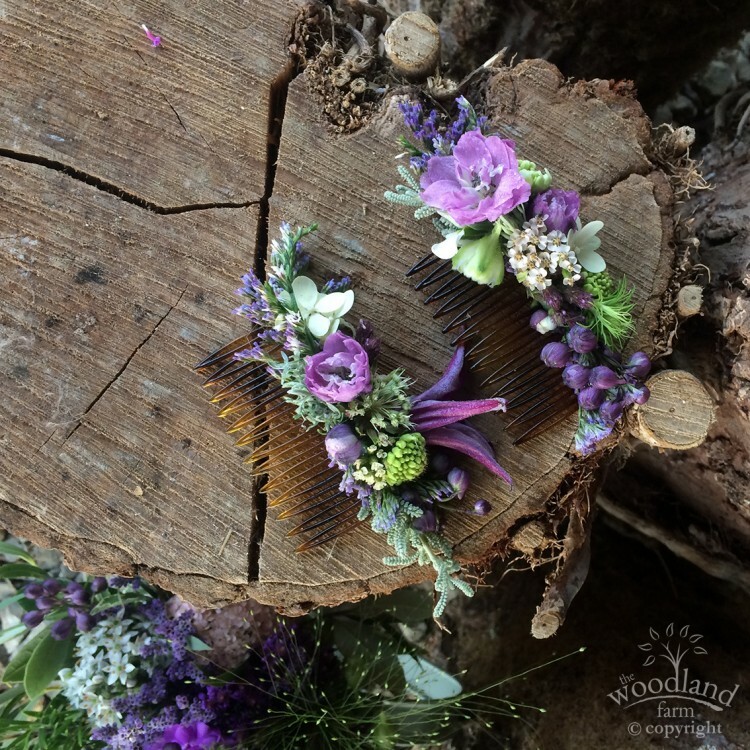 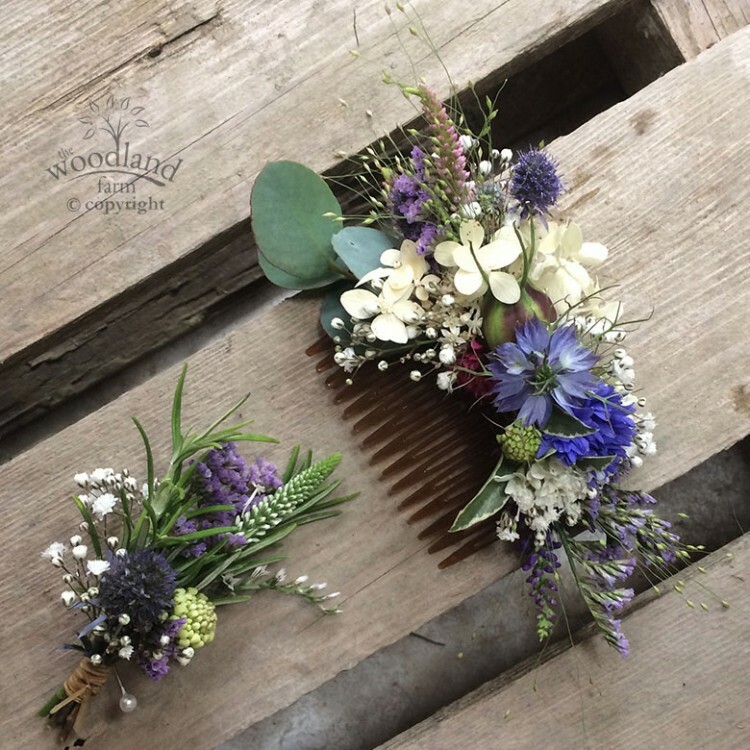 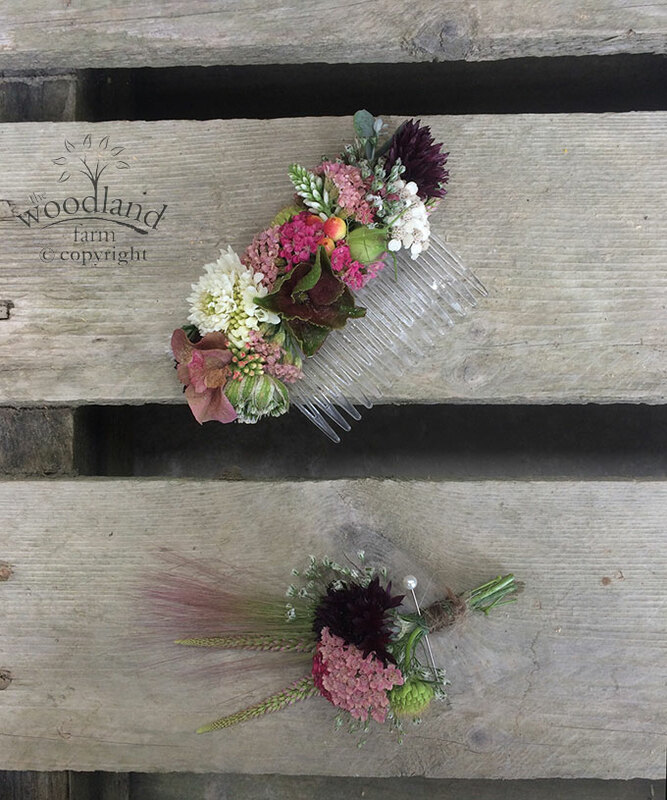 This is a similar combination – this time with a slightly larger hair comb for a wilder style, blue and white with our welsh grown eucalyptus leaves. 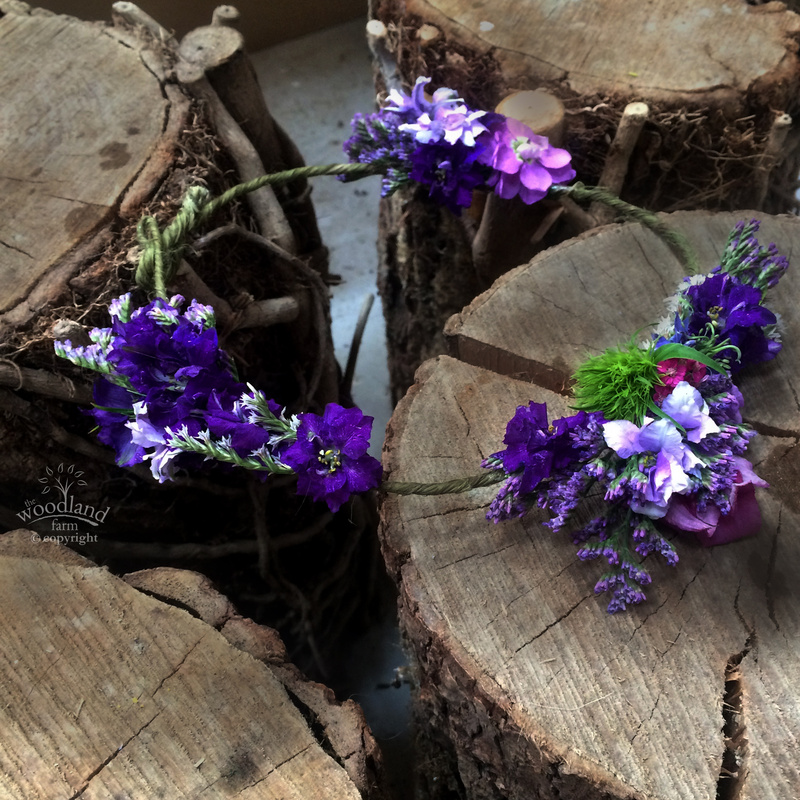 Permaculture Flowers saving the planet!